Looking at the low end models I could just see it becoming a bit of false economy, yes I could spend £100 and get a drone but would I get out of that what I wanted (I don’t think so). I came across the DJI Spark I can’t remember where I think it was on YouTube and started to look into its specification. What did I want out of a drone? So I wanted something lightweight, good camera, something easy to fly (never flown drones before), something easy to learn with and something I could charge in the field. The spark is a mini drone made by DJI and uses its technologies to provide you with the ability to capture moments while on the go. No matter where you are, you can take a photo, take off in your hand, land in your hand and it has a variety of functions perfect for outdoor enthusiast. The takeoff weight of the drone is 360 grams. In its shoulder bag with the controller, spar props, prop guards and 3 batteries the whole weight is 1kg which is perfect for hiking when you are trying to keep weight down. With speeds, up to 31 miles per hour and an operation time of 16 minutes, you are sure to get a great deal out of this drone. 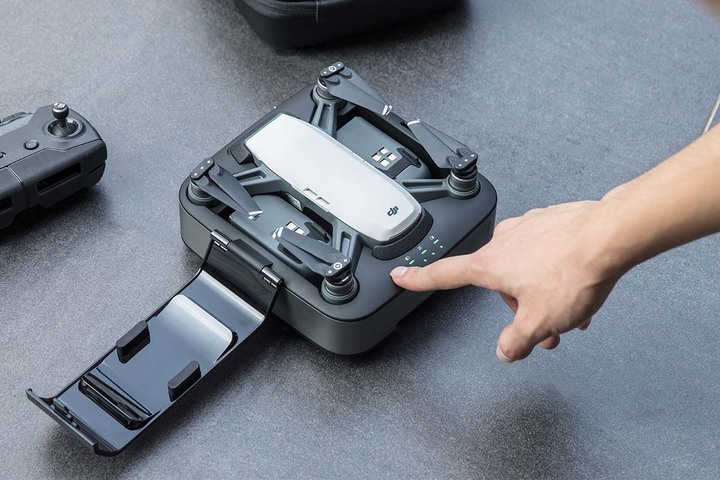 One of the features of this drone is the gesture feature that allows you to control your new drone with the simple wave of a hand or finger in the air. The thing I have noticed previously is that if you are wanting to film yourself walking, canoeing or snowboarding etc. Previously you would be seen holding a controller but with the DJI Spark you have the possibility of setting the follow function, setting it to record and of you go! 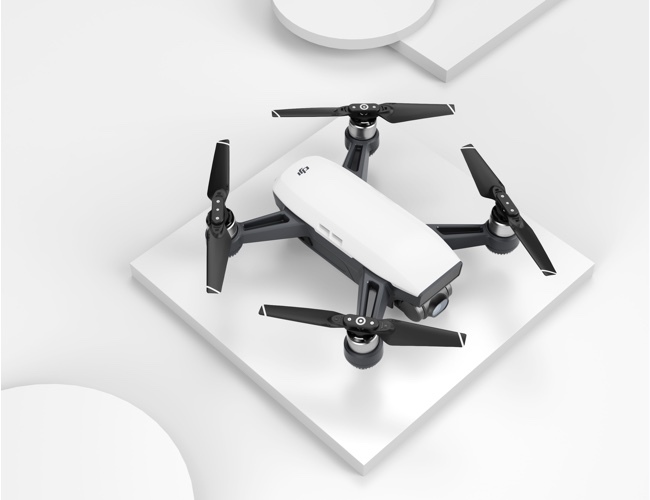 The DJI Spark drone costs around £500 (that’s with the fly more combo*, which is considered to be a very affordable drone. If you want a drone that is perfect for anyone of any age and you want a drone that will allow you to take pictures, no matter where your creativity sparks. The footage is shot in 1080 and with a 12 mega pixel camera it takes great photos. There are loads of great functions and utilities using the DJI GO 4 app. You can edit on your phone, stream live to facebook / youtube and much more. So the batteries don’t last for long (around 16mins) but with three batteries and a little bit of pre-planning will get you the shots you require. Think about your shots, look at the environment and plan what shots you want prior to take off. The Spark itself can be charged of a battery pack but this isn’t quick and will eat your power bank. If your worried about not having enough power then DJI supply a charging station but this isn’t a lightweight option. But at £89 its good value for the amount of times it can charge. It’s also a very good option for carrying the Spark. High-capacity mobile charging station that’s great for traveling. What if I damage it? If your’e a noob like me and worried about spending this sort of money on a drone knowing there’s the possibility of losing it or crashing it. DJI offer a great package called Care Refresh where you can receive up to two replacement units for a small additional charge in one year and covers kinds of accidents. DJI Spark perfect drone for outdoor ehusiasts. So all in all i’m very happy with this drone its cost effective, gives me loads more scope, its easy to learn and the DJI Spark perfect drone for outdoor enthusiasts. Take your time, read the instructions, take plenty of time to learn to fly it before that big trip and enjoy what the spark can do for you. Next PostNext Charge your DJI Spark whilst outdoors.